From the Star Wars Rogue One collection by Gentle Giant. 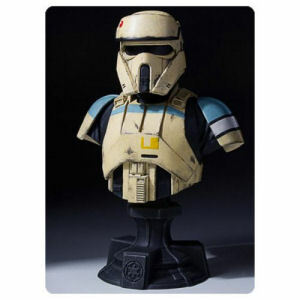 Star Wars Scarif Shoretrooper Classic Mini-Bust. From the Star Wars Rogue One collection by Gentle Giant. Star Wars Scarif Shoretrooper Classic Mini-Bust. Bust measures 6 inches tall. Ages 13 and up.